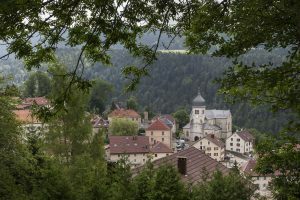 The Haut Doubs is a wonderful landscape. 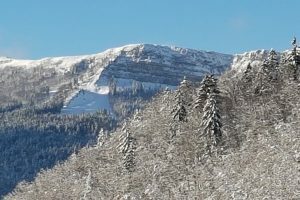 During the winter, you can enjoy the ski resort of Metabief, or go hiking with some snowshoes in our beautiful forests. When the winter is at its peak, you can go skating on our lakes. Remoray are multiple places where you can sunbath or swim. 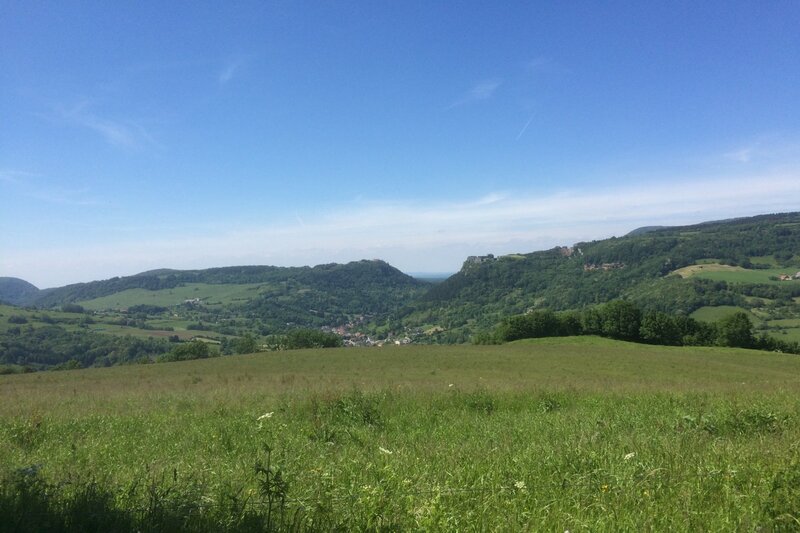 The Mont d’Or is the highest place you can find around here, it offers a beautiful view on les Alpes. For a change of scenery, you can cross the frontier 5 km from the Hôtel and go wander in Swiss. If you’re passionate with medieval architecture, you should visit the “Châteaux de Joux” which is a beautiful inheritance of our history. (also a PDO), mountain hams and many others are at your disposal. Finally, you can have some fine jura wines (with moderation of course) with your meals, red wine, white wine or yellow wine (“vin jaune”, unique in France), what you choose is up to you.